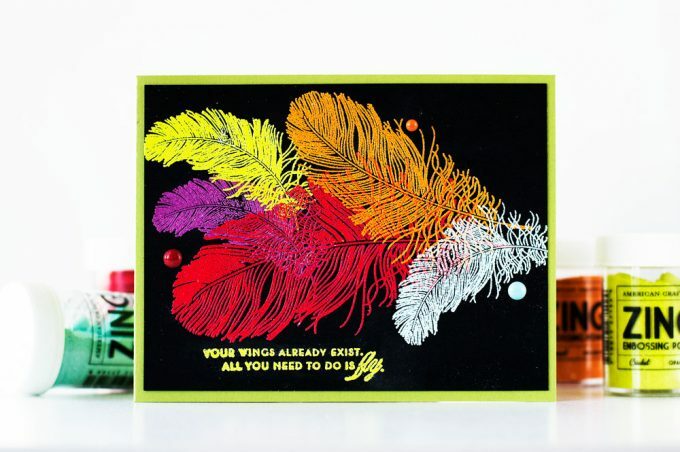 Today I wanna share two cards featuring feathers. 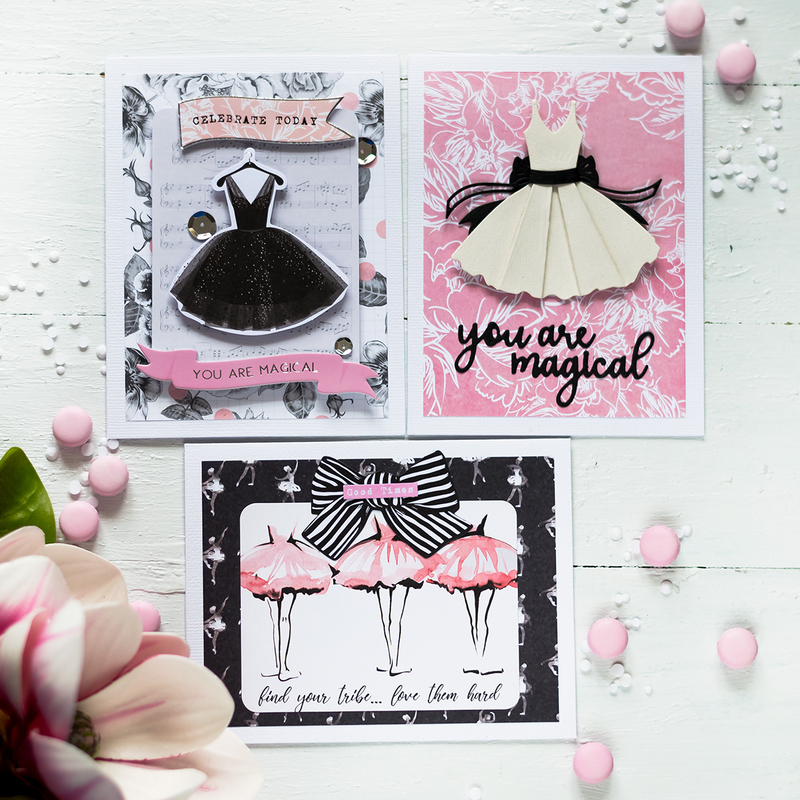 Do you like stamps or dies with feather design? I do! A lot. 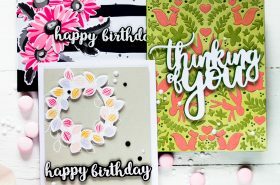 They’re one of those designs when even though you have one stamps or dies set featuring feather – you still need some other ones. 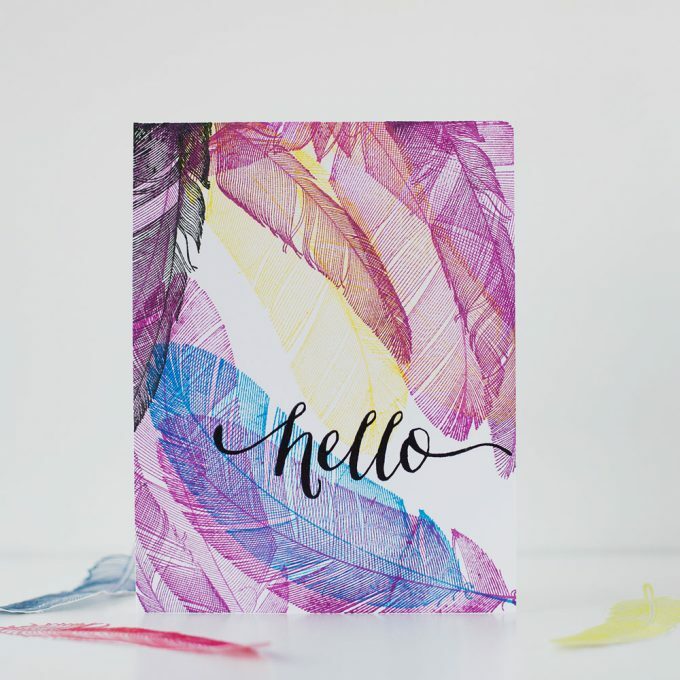 I have three stamps and three dies sets of feathers (and want even more). 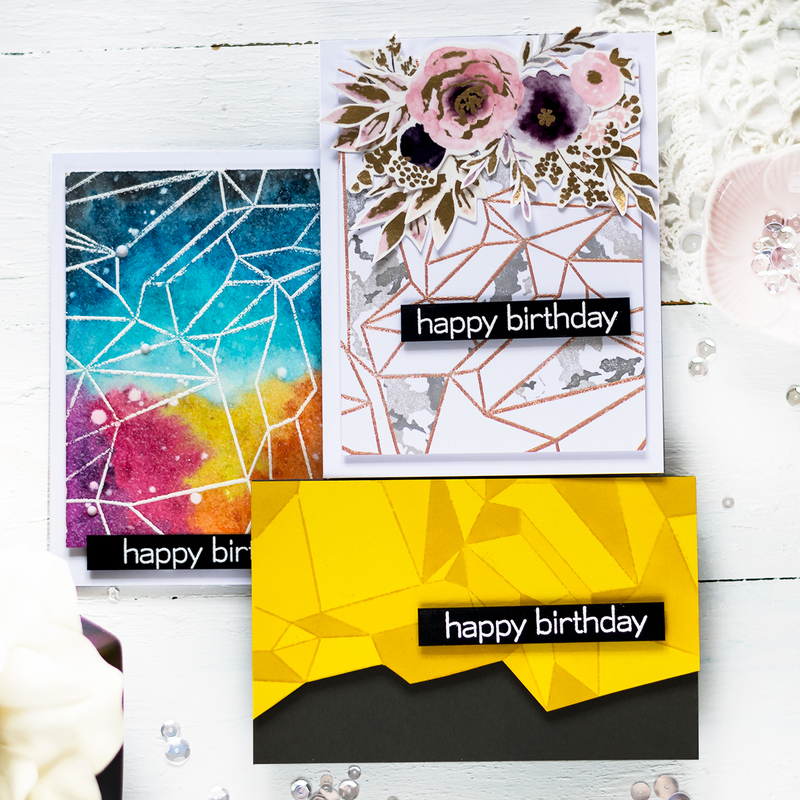 The first card I made was all about bold, bold background and bold colors. A lot of embossing! Took out my embossing powders which were neglected for the most times. 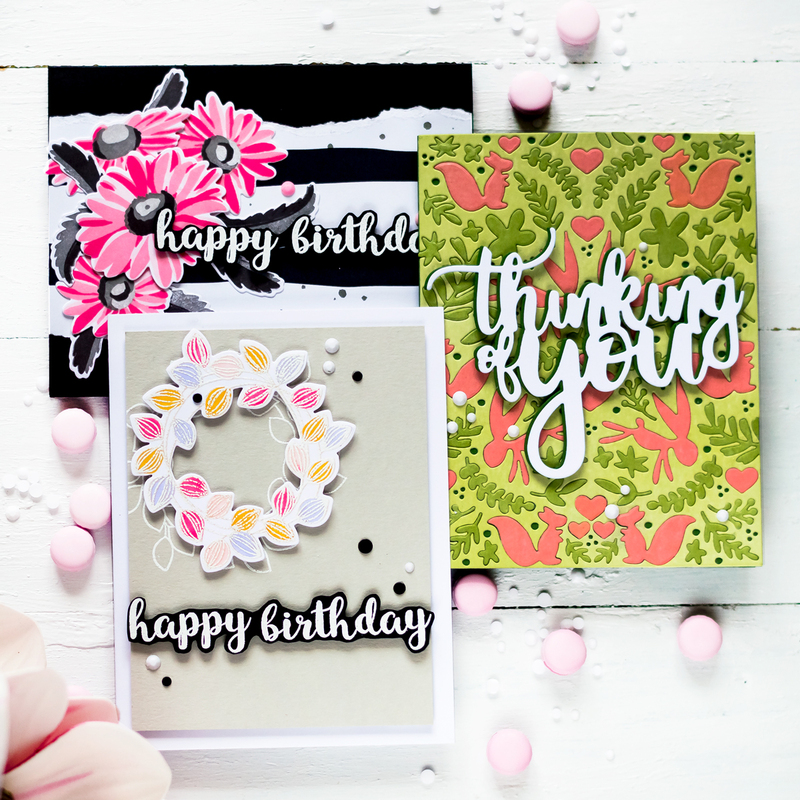 What can I say – stamping and using inks that is what I do most often. I even forgot how gorgeous are powders I possess! So took them along with incredible awesome feathers from PTI and started embossing. Love the final result (frankly I even didn’t expect it to be so effective). 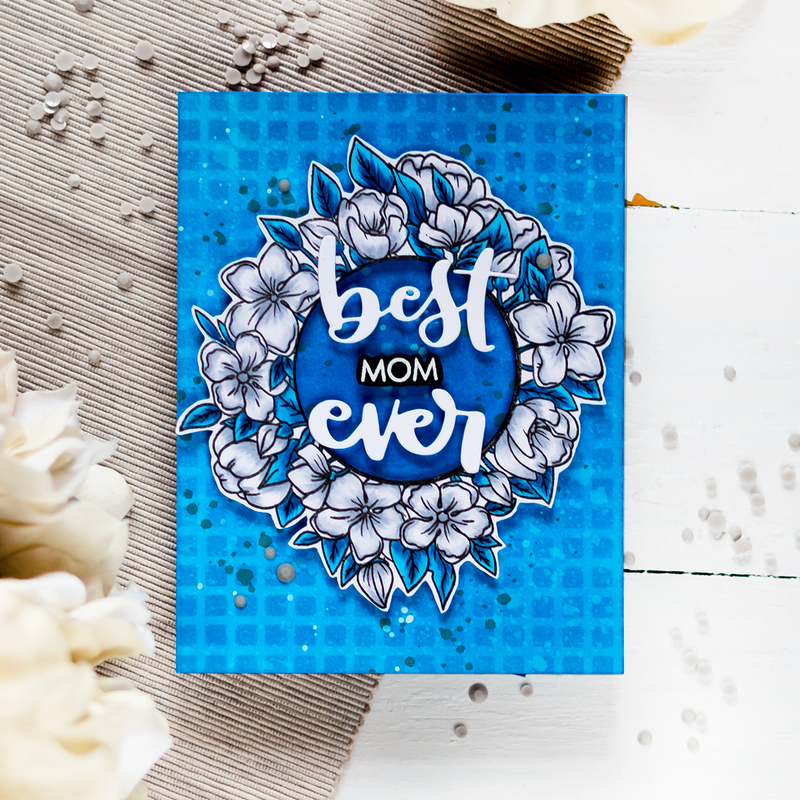 Added a sentiment (also embossed) , a couple of enamel dots and by attaching the panel to a card base the card was ready. The second one is done in more traditional way for me – stamping. But used pigment inks now, which do not use so often (so among inks they are also neglected lol). 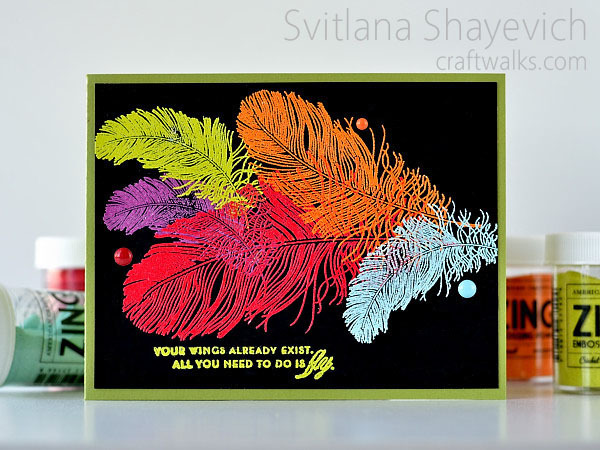 This time feathers are from Hero Arts stamps set. 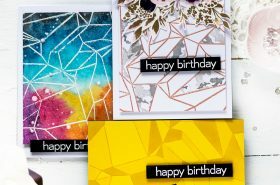 One layer card. Created feathers background and just added a simple sentiment in black. Happened to be very simple to made, but is interesting looking. What about you? Do you like feathers? Are there supplies in your stash you like a lot, but are neglected?